Ikebana by Junko, Japanese flower arrangement art of Ikebana, A brief history of Ikenobo Ikebana School. A brief history of Ikenobo Ikebana School. The Rokkaku-do Temple is the home of Ikenobo Ikebana. It is said to have been founded by Prince Shotoku about 1400 years ago. The Temple Priests who made floral offerings at the Buddhist altar of this temple lived near a pond (the Japanese word “ike”), in a small hut (called “bo”). For this reason people began to call the priests by the name “Ikenobo”. The oldest record of the name Ikenobo is in “Hekizan Nichiroku”, the diary of Unzen Taigyoku, a zen monk at Tofukuji Temple in 15th century Kyoto. It states that a beautiful arrangement made by Senkei Ikenobo, priest of the Rokkakudo Temple, was highly-reputed throughout Kyoto. This shows that Senkei Ikenobo was already well-known as a “master of flower arranging”. In the late 16th century a more formalised and complex system of arrangement was developed. Originally known as “Tatehana”, Rikka style was established as the most formal style of Ikebana arrangement by the Ikenobo school. Rikka was mainly used for ceremonial occasions. The less formal Nageire style, which did not require complicated rules, represented the natural beauty of flowers. This style was preferred by the majority of ordinary people. Over time this evolved into a new style of flower arrangement, called Shoka. During the Meiji period (1868-1912) Ikenobo styles were perceived as staid and conservative. The Meiji Restoration (1868) brought western cultural influences and this helped the modernization of Japanese flower arranging. This resulted in more modern styles of arrangement such as Nageire, Moribana, modern Shoka and Rikka being introduced, largely in the Taisho period (1912-1926). Following World War 2, Japan was again greatly influenced by western styles. 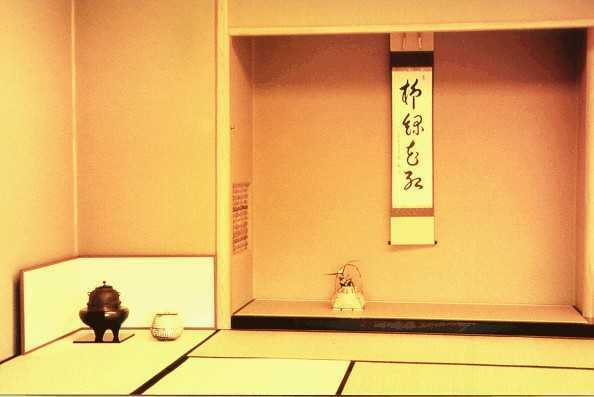 This brought great changes to Japanese life styles, for example, Tokonoma are rarely seen in modern apartments. Despite these influences, Ikenobo has managed to maintain and develop its more traditional styles whilst acknowledging and adapting to the more modern world through the freer approach of freestyle Ikebana. In 1977, the current (45th) Head Master of Ikenobo School, Ikenobo Sen’ei, divided Shoka style into two: Shofutai which is traditional; and Shimputai in which the arranger can be far more expressive. Similarly the most formal, traditional Ikebana style of Rikka was also clearly divided into two styles in 1999. In 1945, at the age of just 11, Ikenobo Sen’ei took his Bhudddist vows and became the 45th Head Master of Ikenobo school. His daughter, Yuki Ikenobo, Head Master designate will be the first woman Head Master of Ikenobo Ikebana School. Chronology of Ikenobo Ikebana (pdf, opens in new window).